We are Professional Plumbing Supplies Ltd so you’d expect us to have the full range of showers and showerbaths. And you’d be right!. Call us now with your showers and showerbaths needs. … information to follow. Please call 020 8336 1336 with your requirements. Eastbrook Trade bathrooms source a phenomenal number of unique and exclusive ranges of bathroom products. They aim to have the right product for any bathroom and cloakroom shape to allowing you to maximise space and budgetary requirements. For availability and prices please call us on 020 8336 1336 or use the contact us form. 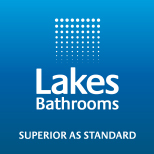 As a leading manufacturer and supplier of shower enclosures, shower doors and bath screens, Lakes Bathrooms have designed their collections to give you real freedom of choice, from a name you can trust. Being an independent, family run firm, quality really does matter to them reflecting how the enclosures perform and in how they perform supporting customers. Attention to detail, good design and superb materials are the hallmarks of Merlyn Showering products. Merlyn Showering aim to provide the ultimate showering experience – from the smooth running of the shower doors, to the beautiful lines of the design and the quality of the fittings. Merlyn Showering are proud that this approach has resulted in them becoming one of the UK and Ireland’s leading showering companies. 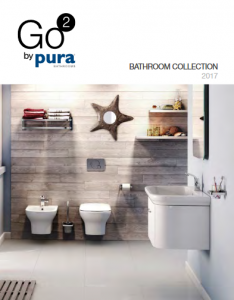 Whatever bathroom design you desire, Pura Bathrooms products offer a solution to meet your aspirations at a surprisingly affordable price. We are an important supplier to the contracts market and Pura Bathrooms are often specified for their designer looks at a fraction of the price of some of the luxury brands. You can take advantage of this, too. We can get whatever you need delivered to our bathrooms showroom here in New Malden. Please ask about onward delivery to your home. The Uniblade Shower Screen Seal fits any shower screen whether curved or straight. The only seal you’ll ever need. The Uniwaste™ waterless waste system is unique in design, compact and versatile. It will fit into very tight spaces due to its low level design, ideal for under shower trays, baths, basins and bidets where space is often very limited. The Uniwaste™ waterless waste system has an integral 2-part silicone membrane that prevents foul air from coming up through the system, has excellent water flow capacity and also acts as an air admittance valve when negative pressure occurs in the drainage system. It will also prevent back flow.